A number of major news outlets reported on a new study in JAMA that determined ovarian reserve tests aren’t a good predictor of fertility among women trying to conceive naturally who have no history of infertility. 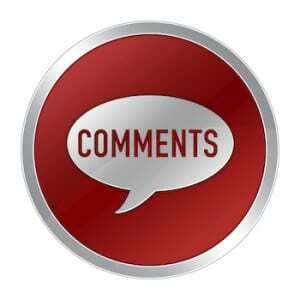 STAT, HealthDay, CNN and Reuters Health wrote about the study, and all did a solid job reporting on the results, gathering independent perspectives, and including important limitations to the findings–such as that the outcome measured was conception, and not carrying a baby to term. “…Over the years, they’ve worked their way into being in the mainstream without evidence,” said Dr. Anne Steiner, a reproductive endocrinologist at the University of North Carolina and one of the study’s authors. “As we get older, fertility becomes a giant egg-shaped question mark,” the company said in an August blog post announcing the test. 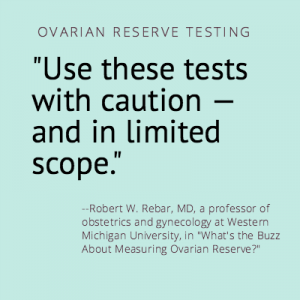 Earlier this year, I reported on “ovarian reserve testing” events marketed to women. 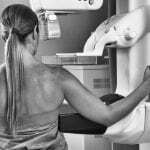 Too often, experts said, the potential drawbacks aren’t disclosed in the promotions, and news coverage frequently lacks much-needed scrutiny on the usefulness of such tests. For example, a woman who finds out she has low ovarian reserve may assume she’s infertile and jump right into unnecessary fertility procedures. Or, a woman who has normal results may assume she’ll easily become pregnant. “It’s false reassurance because other factors–for example tubal scarring from endometriosis or past infection–that have nothing to do with the quality of eggs may be the cause of infertility,” said Dr. Karen Carlson, MD, a HealthNewsReview.org contributor and Director of Women’s Health Associates at Massachusetts General Hospital and Associate Professor of Medicine at Harvard Medical School. These tests are a stepping-stone. They give some information to be discussed with a doctor. Doctors have always said these tests help learn how patients will respond to medicine used in fertility treatment. There is no diagnosis associated with the test results. There are too many factors in reproductive health to consider. While I agree the tests can’t predict if you are fertile or not, they do help patients start to think and talk about their reproductive health.